June 17, 2014  The painting's surface depicts a scene in Pablo Picasso's studio in Paris, with a woman bathing between a window and a table. But the canvas holds a different scene underneath. 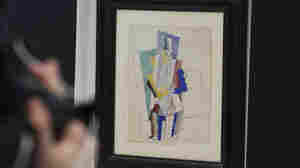 December 19, 2013  Jeffrey Gonano, 25, had the winning stub in a Sotheby's drawing for the Spanish master's 1914 cubist painting, "Man in the Opera Hat." 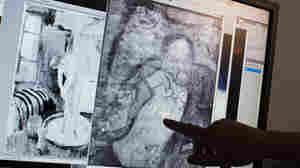 October 16, 2012  Seven works by famous artists were stolen by thieves who broke into the Rotterdam museum around 3 a.m. The thieves set off an alarm, but managed to escape before police arrived. 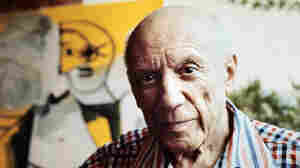 November 29, 2010  The news that a French electrician and his wife say they have 271 never-before-seen works of art by legendary painter Pablo Picasso, worth perhaps nearly $80 million, has shocked the art world.